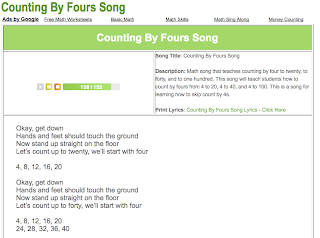 Teachers, check out the Counting By Fours Song. This counting song will help your students skip count by four. Have Fun Teaching now has many skip counting songs that your kids will love and will be able to sing and dance to. These math songs are perfect for learning multiplication facts.